The first FIA World Rallycross Championship round to be held at the Bikernieki National Sports Base in Riga, Latvia last year was regarded as one of the best events of the 2016 season. 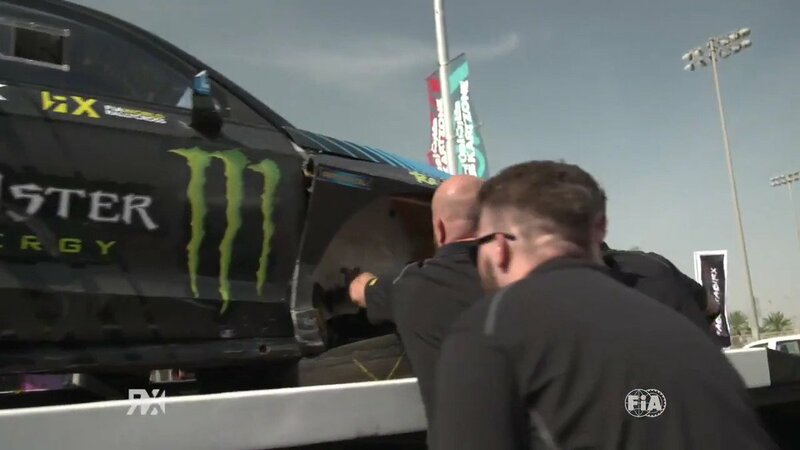 World RX’s first visit to Latvia is also remembered for the titanic battle between title-protagonists Petter Solberg and Mattias Ekstrom, who came together in the qualifying races. Solberg ultimately didn’t make the semi-finals for the first time in his World RX career, as a new winner claimed the top step of the podium. France’s Sebastien Loeb led the Latvia RX final from start to finish from pole position and won in front of Ekstrom. Sweden’s Johan Kristoffersson was TQ (top qualifier) in the Intermediate Classification but finished second to Loeb in semi-final one. He overtook Norway’s Andreas Bakkerud in the final, but was then repassed by the Ford Focus RS RX and Timmy Hansen’s Peugeot 208. Hansen climbed from the back of the grid to finish third ahead of Bakkerud and Kristoffersson. Russia’s Timur Timerzyanov crashed out at the first corner of the final. Both Latvian drivers, Reinis Nitiss and Janis Baumanis qualified for the semi-finals and finished fifth and sixth in semi-final one. This weekend will also be home to the final round of the FIA European Rallycross Championship for Supercar, where in 2016 Euro RX Champion Kevin Hansen spun at the first corner but fought back to finish second. Norway’s Tommy Rustad won the event and Hungary’s Tamas Pal Kiss finished third.